[FONT=tahoma,arial,helvetica,sans-serif]I have a husband, son, a step daughter, a Chesapeake Lab Buddy and a Wirehaired Pointing Griffon Blaise! We live on eleven acres mostly oak woods in central Wisconsin. I just love chickens...hence the name, although I wish I had looked first at other's names on this website as there are quite a few of us chickenlover's, but that's eggspected I guess! 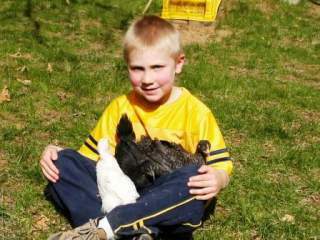 My husband calls me the Chicken Lover, so without knowing it wasn't original, that is the name I picked! [FONT=tahoma,arial,helvetica,sans-serif]Fall 2008 a stray hunting dog wiped out my flock one day, he was on a killing spree, dead birds all over my backyard and woods, I can't blame the dog, that is what they do. I just hope the poor chickens didn't suffer too much. It was a beautiful male German Shorthair and very well mannered (to humans). We called the local dog pound and they said they would hold him as they were sure the owner would be looking for him. I never did find out what happened to the dog, but the pound never called us back? We have hunting dogs,and are involved in NAHVDA but they are never out the same time as the chickens and it has worked well, and I believe that most dogs just aren't as brave to go into another dog's territory like this one did. 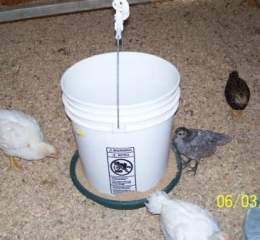 Needless to say, I was pretty devestated and missed having eggs and my chicken husbandry chores, so I hurriedly took in some adult birds from a lady on Craig's list, said she couldn't take care of them, but after I had them I found they had lice, scaley leg mites and one had a smelly uncurable contagious respirtory infection (cubalya?) a couple of others were sneezing. 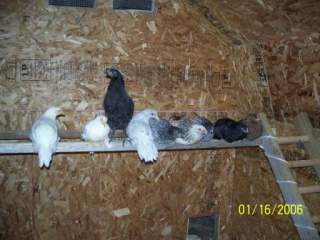 After three weeks of research and trying to help them the best I could putting vaseline on their legs, dusting them with insecticide and giving them antibiotics, I had to cull this replacement flock and learn a lesson about taking in other person's birds and the risks associated with bio security etc...I then cleaned caulked painted and bug bombed my coop and let it sit vacant all winter and after 5 years of chickens running around, and only two times haveing trouble with predators-one mama racoon that was getting in the tractor to eat the chicken feed and that fluke of a hunting dog, I think I am safe to have a new flock in spring and let them out during the day like I did before. 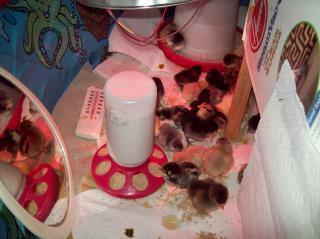 I plan on replacing my flock in spring with baby chicks so I can control what they are exposed to! 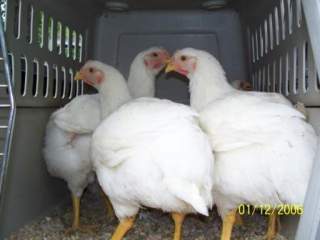 Buyer beware, you can't trust you need to really inspect those newcomers before brining them home if you buy adult chickens! 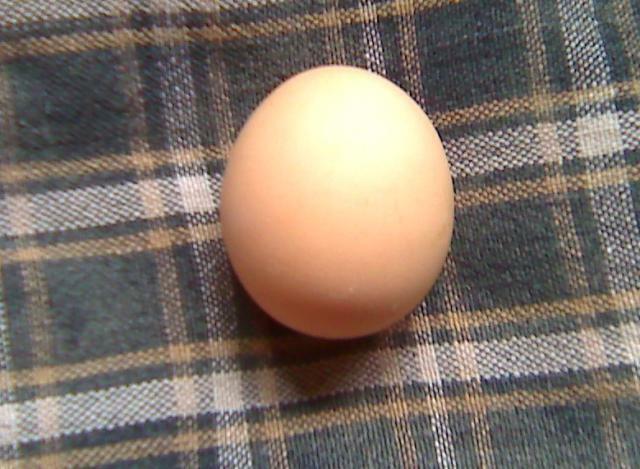 I have some easter-eggers that are laying blue-green eggs then the suddenly stopped? I love having breakfast with bantam eggs, you can fit 3-4 of them on one piece of toast very cute little things! I wonder if those ee's made a nest somewhere out in the woods? 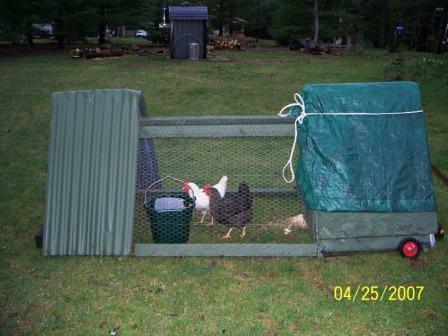 I do let them free range during the day. 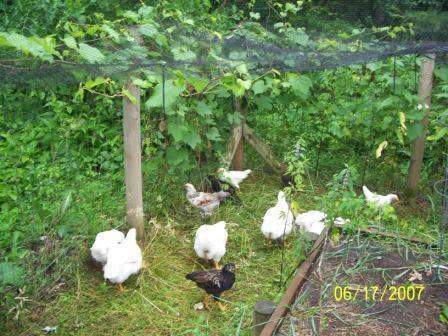 My husband now has homing pigeons and we hope they nest soon. Incubating Mallard Duck Eggs- I set 3 dozen eggs on August 9th using a still air LG with turner, wish me luck on my first time incubating! I candled them and they are so neat! I hope we have success and little ducklings on Labor Day weekend. Well, they hatched on day 23, the same day I was taking them out of the turner to set on the wire....I think it spoiled the hatch to mess with them at that time...I have 5 healthy ducklings though... and they think I am their mama... sooo sweeeet....I can't even explain it....I crossed over to the duck side and I like it. 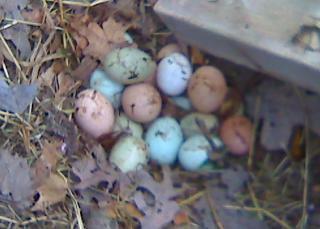 OK, there were barely any eggs anylonger in the nest boxes, and I found this under some lumber on our property, darn chickens had their own nest! 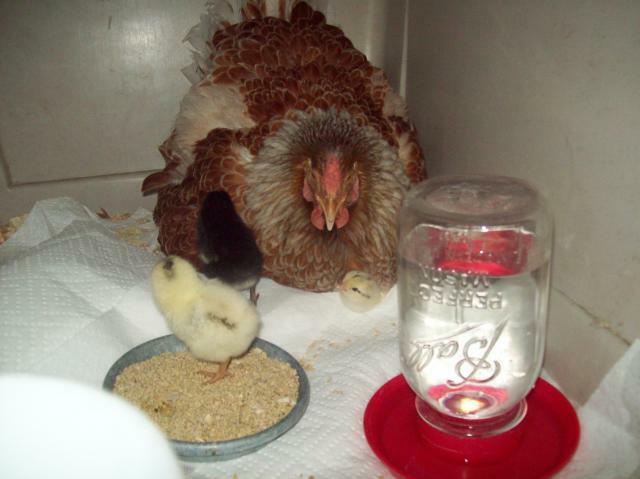 March 2010, I had my Blue laced red Wyandotte a hen go broody so I put some eggs under her to see if I could hatch a few, she sat on them in my basement in a dog crate. 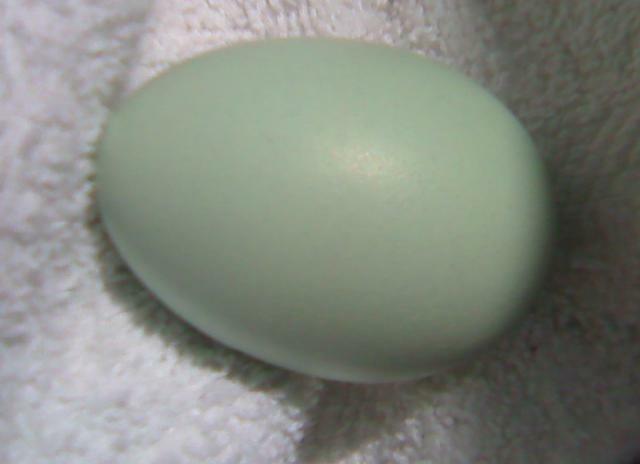 I collected mostly blue and green eggs since my rooster is an easter egger... but none of those hatched and only one was fertilized and didn't develop fully, darn I wanted more blue egg layers!. My hen did hatch 5 out of the 7 eggs that were fertile though and there are two that look like my Delaware and one like an Astrolorp and two others that are brown and I am not quite sure who the parents are... Momma hen seems to be doing OK, I have part of the coop fenced off and am ready to move them outside, but they can stay in the dog crate for awhile in my basement so I can watch... So neat!! !